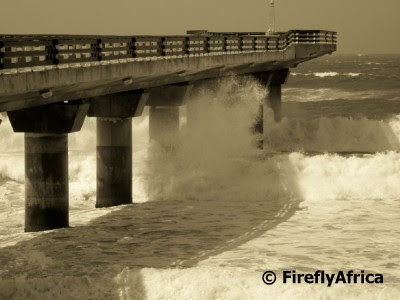 The other day during spring high tide we also had a strong easterly wind blowing here in Port Elizabeth and that normally means a very rough sea. 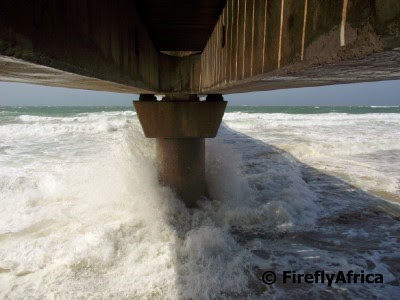 I popped down to Hobie Beach to have a look and got a couple of pics around Shark Rock Pier. Quite a few of the succulents and cacti in my garden has been flowering lately being that time of the year. This one doesn't have what I would call regulation thorns, but rather long spiny ones. The little pink flower looked soft to the touch although I wasn't willing to venture a finger in between the spines to find out what it feels like. 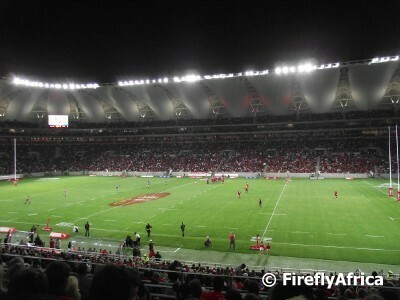 A couple of weeks ago I went to watch the EP Kings play their last game of the season at the Nelson Mandela Bay Stadium. It was a promotion / relegation match against the Mpumalanga Pumas which the Kings unfortunately lost. But that's not what this post is about. 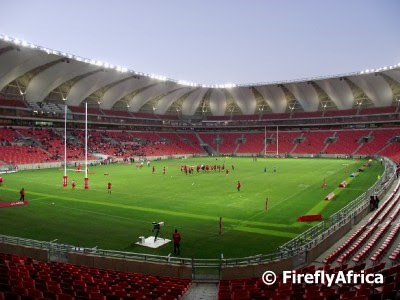 The Kings supporters came out in their thousands and just about filled up the 44000 seater stadium, the biggest crowd at the stadium since its completion in 2009. One of the 52 species of Watsonia (Bugle Lily) that we find in southern Africa. 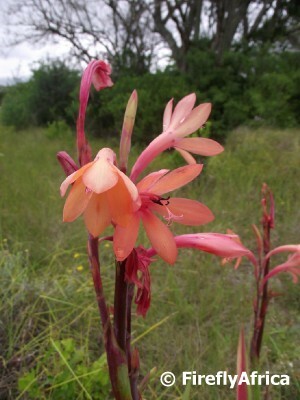 The Watsonia is a type of iris native to South Africa. The genus is named after Sir William Watson, an 18th century British botanist. They are perennial herbs growing from corms and producing erect spikes of showy flowers, and are adapted to a Mediterranean-type climate. 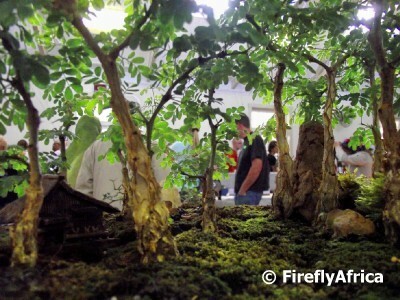 Firefly's note: Thanks for the help Geoff. I have changed the info. Shows my lack of knowledge as far as flowers go. Every now and then I find a couple of photos on the archives that I haven't posted and today is no different. The Observatory museum in Grahamstown is a fascinating place and contains the only Victorian Camera Obscura in the Southern Hemisphere. The building was bought by Henry Galpin in 1859 and extensive changes were made to it, including the addition of the camera obscura. Galpin operated his watchmaker and jeweller's shop from the building and usually used to camera obscura to look for his friend Dr William G Atherstone around town. By the 1970's the building was falling apart before it was purchased by De Beers Consolidated Mines, restored and opened as a museum. 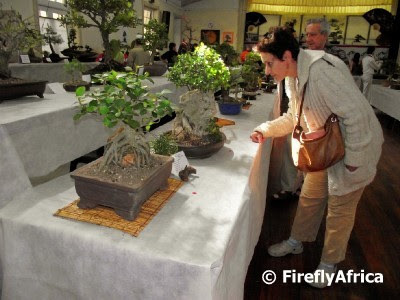 A couple of weekends ago the Eastern Cape Bonsai Society (EPBS) had their annual Bonsai Show at the Walmer Town Hall in Port Elizabeth. The EPBS was founded in 1969 and is having their 41st Anniversary this year. 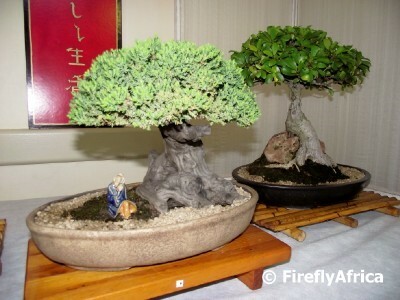 For a couple of years now I have been threatening to get myself a bonsai tree and take it up as a hobby. This year I will do it. 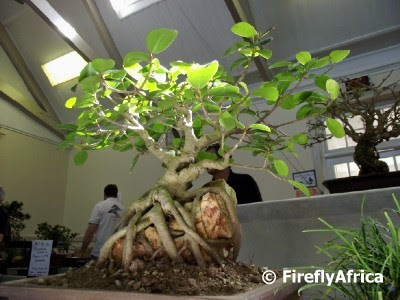 I have a small Spekboom tree in a pot and have decided to move it into a proper bonsai pot and start training it. 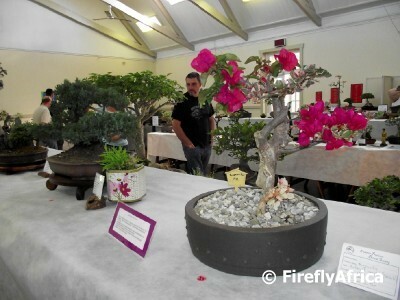 Here follows a couple of the pictures I took at the show. I love that some people create a scene around their tree and doesn't just have a tree in a pot. 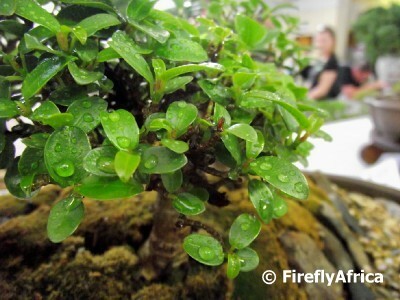 My favorite bonsai are those that grow over a rock. It takes a lot of time and effort to get it to this point, but its well worth it in the end. Another one of my favorites. Bonsai Hibiscus in bloom. 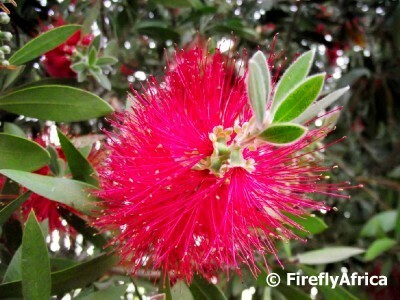 I've had these pictures of the Bottlebrush Tree's flower (Callistemon rigidus) for a while now wondering if I should post them or not. I know the light wasn't very good, but what the heck. Here they are. 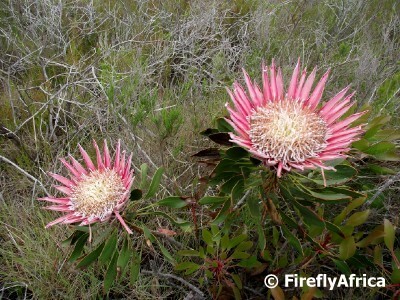 The Protea eximia or Broad-leaf sugerbush as its commonly known as, are quite widespread throughout the mountains of the Southern Cape, stretching from the mountains near Worcester through the Langeberg, Outeniqua and Tsitsikamma Mountains as far as Lady Slipper outside Port Elizabeth. 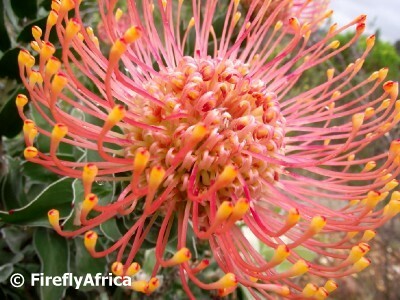 The Protea eximia flowers mainly from August to October and gets grown on Protea farms as they make a very good cut flower. This one I photographed at the Van Stadens Wildflower Reserve near Port Elizabeth. 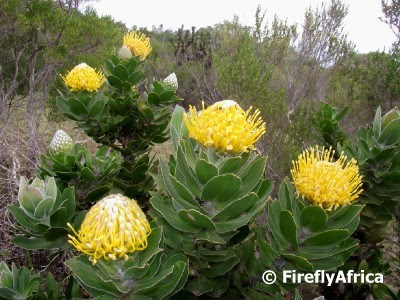 For more information on this beautiful member of the Cape Floral Kingdom (Fynbos biome)visit SANBI (South African National Biodiversity Institute, South Africa)'s PlantZAfrica website. 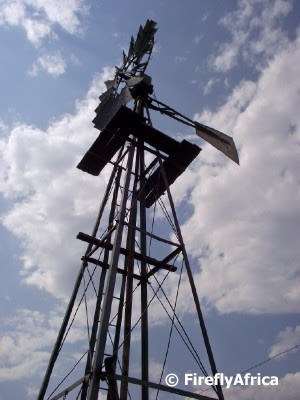 Yeh, yeh, I have a thing for windpompe (wind pumps). They are such a part of our countryside that its hard not to feature them when I get the chance to get out the city. 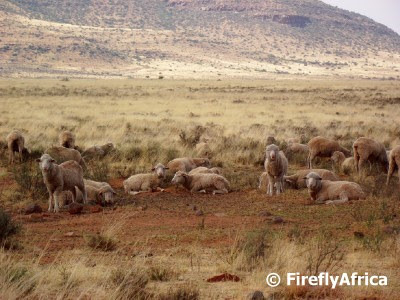 They play a specially important part in dry areas like the Karoo (I know I've said that a couple of times before as well) where both humans and animals are very dependent on them for water. 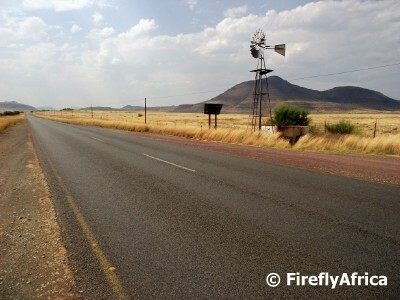 I pulled over in the Karoo the other day to get some photos of the landscape and found this windpomp standing on the road side of the fence which means that I could get right to it to have a look. 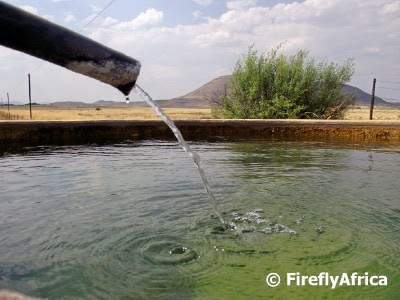 The life blood of the Karoo was being extracted and poured into the cement dam below the windpomp. It was a warm day and the water looked inviting. Its not hard to believe that many farm children swim in cement dams like this on sweltering days. 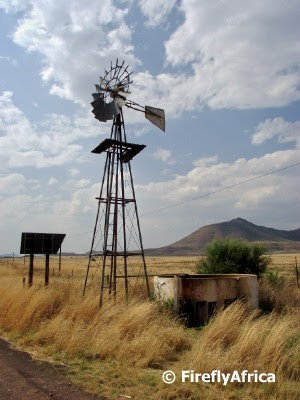 In the Karoo you are sure to find animals in close proximity of a windpomp. In this case merino sheep. You can actually see that they stay in the area by looking at the vegetation it and how they have cleared out a spot for them to lay in. The King Protea (Protea cynaroides) probably the best know protea of all the different species and its very hard to not to see why. The King Protea is also South Africa's National Flower and has pride of place on the chest of all sportsmen (and women) who represent the country. 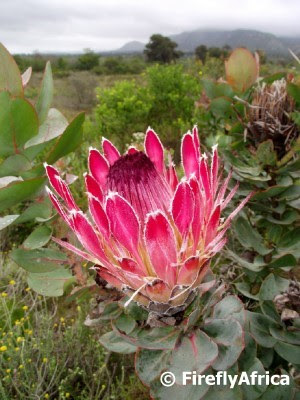 The King Protea is one of the widest distributed of the Protea species and occur all the way from the Cederberg into the Eastern Cape east of Port Elizabeth. The flowers grow on a woody shrub that normally grows about one meters high, but this can vary depending in the environment it grows in. 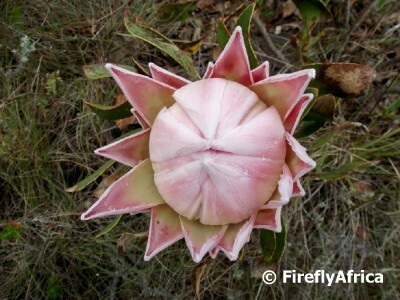 The King Protea is beautiful right from the time its a flower bud through to when it dries up. The flower bud of the King Protea looks very similar to the globe artichoke vegetable. The Latin name of the artichoke is Cynara scolymus and this lead to the botanist Linnaeus to give the species the name Protea cynaroides. 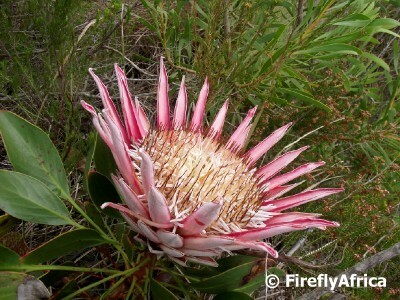 For more information on the King Protea or any other South African flowers, I find the PlantZAfrica website very useful. 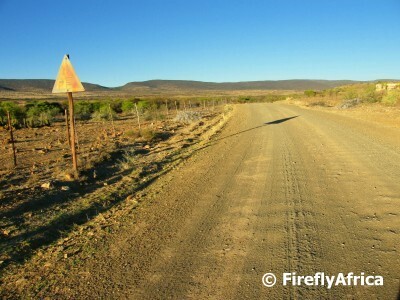 Driving through the Karoo should be an adventure, not a rush. It has so many interesting nooks and crannies to explore, but to get there one has to travel many interesting roads and paths. Travelling is as much about the journey as it is about the destination. 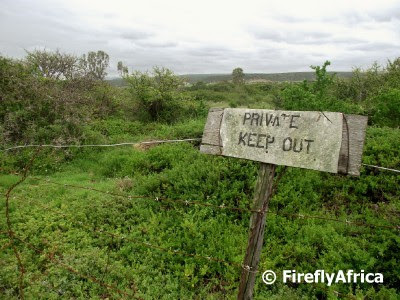 to open a gate and proceed along a two wheel track that will lead you to even more interesting destination. I think that is deep enough for today. I drive a Chev Aveo, so not far beyond that gate I will have to turn around or I may never see that tar road again. 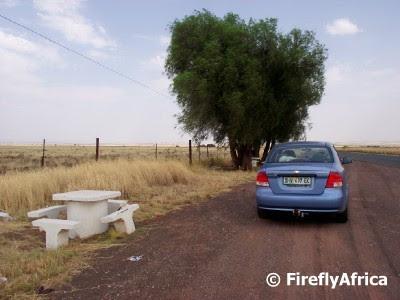 What would be one of the most unusual sights you can imagine finding in a little plattelandse (rural) town in the Karoo? Well, I bet you didn't just think a pink church, but after saying it it would probably be on your list. 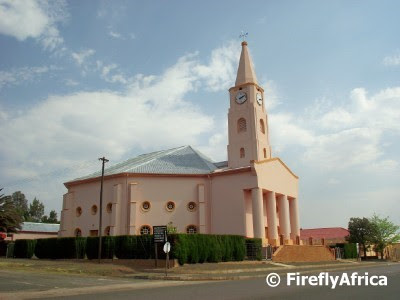 Driving into the Karoo town of Hofmeyr, one immediately sees the bell tower and clock towering out above the surrounding town and its difficult not changing direction to check it out. 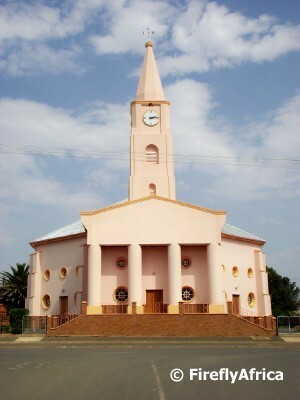 The Hofmeyr Dutch Reformed Church was built in 1875 and somewhere in its existence the church council decided to have the church painted pink. A lot of the locals have their own theories of why it was decided on the pink colour, but the real reason I won't divulge. Probably because I don't know it. One of the features of the church is the antique wind organ which stand high above the pulpit. Unfortunately there’s only about 50 people that worship here on a Sunday which is largely due to the fact that so many young people move to the cities and the platteland is getting more and more depopulated. Lets just hope this unusual treasure of the Karoo stays intact for future generations to turn off the main road and stand puzzled at the reasons why they decided to paint it pink. 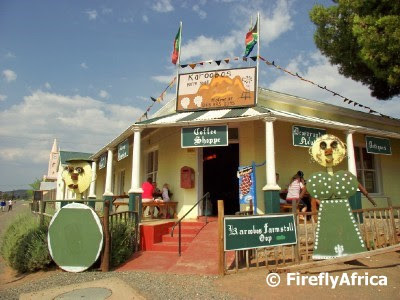 On the corner that the main road makes through the little town of Hofmeyr stands a big green "lady" that beckons you to a building that serves a welcoming ginger beer and koeksister to travellers through the Karoo. 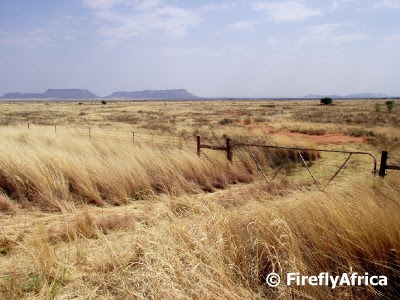 Karoobos is what we would call in Afrikaans a real "plattelandse padstal" (country road stall). 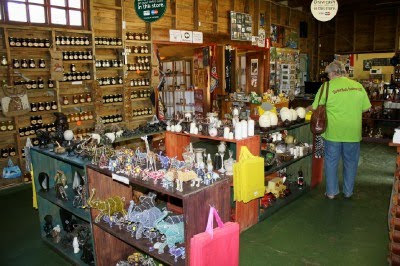 They don't just serve the most delicious meals but also sell jams, homemade products and antiques. 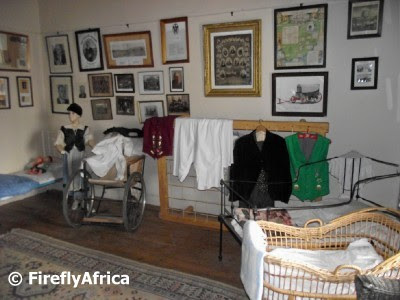 In the back of the building visitors would find the Hofmeyr Museum. 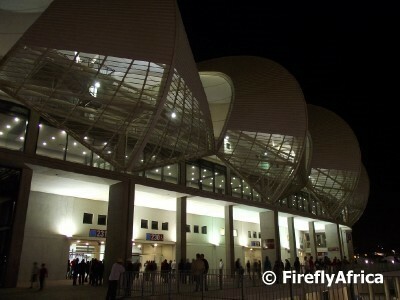 The museum used to be housed somewhere else but had to find a new home due to different circumstances. 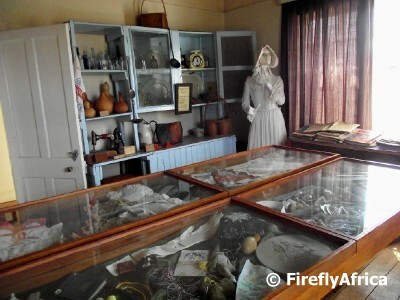 The owners of Karoobos at that stage bought some of the museums antiques and then offered the trustees space in the padstal's building to set up the museum in a safe and accessible environment. 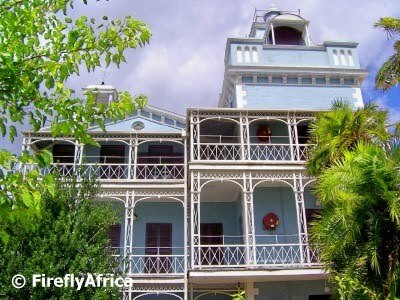 The museum showcase a lot of history, antiques and Africana that is part of the town and tells of its history. Now it may not be the South African Natural History Museum, but it still plays an important part in retaining and conserving the history of the town. 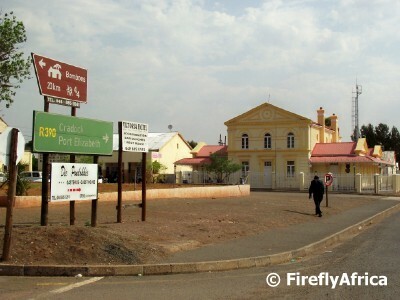 Hofmeyr is a typical little Karoo town. 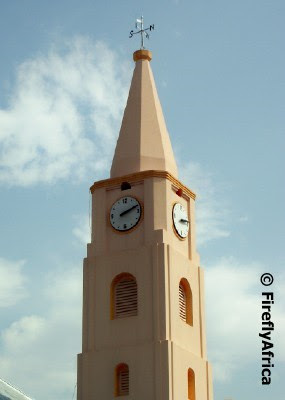 Imposing old Dutch Reformed Church keeping an eye over mostly dusty streets and a proud but struggling farming community. 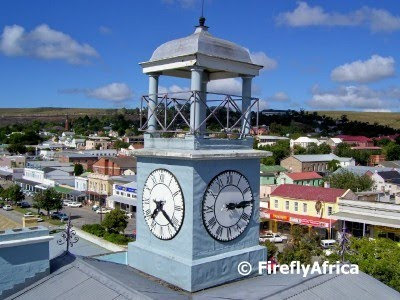 Situated roughly halfway between Cradock and Steynsburg, the town with its less than 2000 people lies at an altitude of 1252 meters and in the heart of a once flourishing sheep farming district. 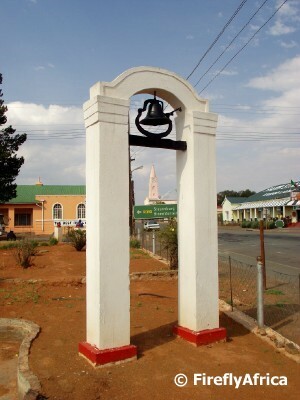 The town was founded in 1873 and, initially named Maraisburg, renamed Hofmeyr in 1911. It was named in honour of Jan Hendrik Hofmeyr (Onze Jan), a campaigner for the equal treatment of Afrikaans and English and General Jan Smuts' closet advisor. 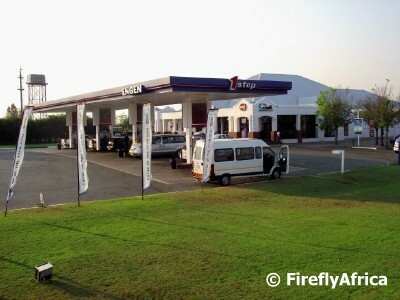 The main road through Hofmeyr makes a turn in town and on the corner is a small park containing a couple of monuments. 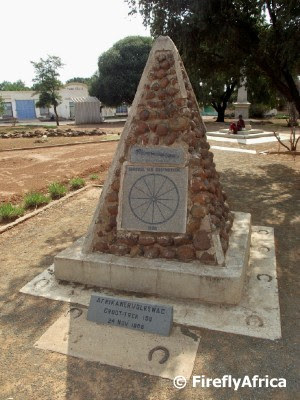 One of those is a small pyramid that acts as a monument to the people from the district that took part in the Great Trek. This bell also stands in the park. 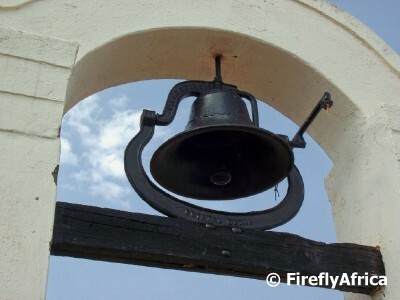 I'm not sure if it was a town bell to call people together for meetings and in case of emergency or otherwise a slave or mission bell. Probable the former. 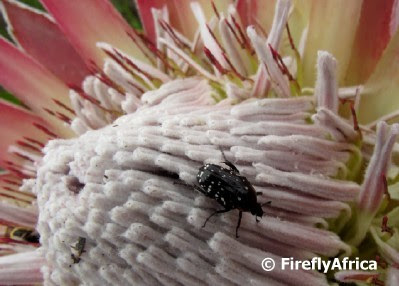 When I was doing a bit of research for the post on Pin Cushion Proteas, I found the following information: "Proteas aren't self-pollinating and depend on the small scarab beetles and the birds for pollination." Now I don't think this little dude sitting on the King Protea is a scarab beetle, but if he does the job who am I to question what he's doing there. We headed out to the Van Stadens Wildflower Reserve west of Port Elizabeth the other day and found lots of Pin Cushion Proteas (Leucospermum cordifolium) in flower. 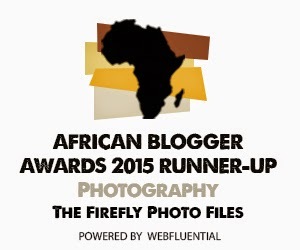 Caroline has pointed me to the PlantZAfrica website which has great information on South African plants and flowers. 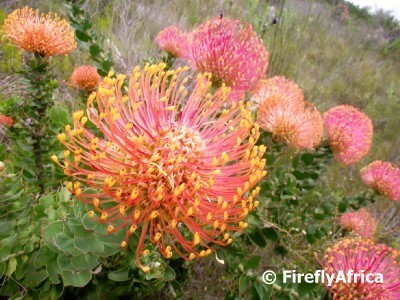 Pin Cushion Proteas are part of the Cape Floral Kingdom, better known as the Fynbos biome. 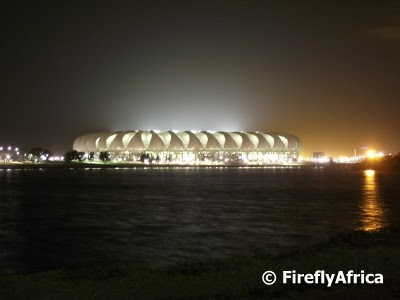 The Cape Floral Kingdom is indemic to South Africa and found mainly between the Cape West Coast area and Port Elizabeth. 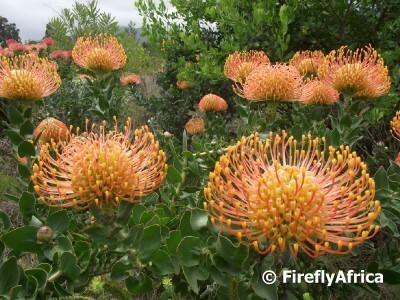 The Leucospermum cordifolium is a rounded spreading shrub up to 2 m in diameter and about 1,5 m high, with a single main stem and horizontally spreading stems, hard green leaves and 1 to 3 large inflorescences borne at the end on the stem. 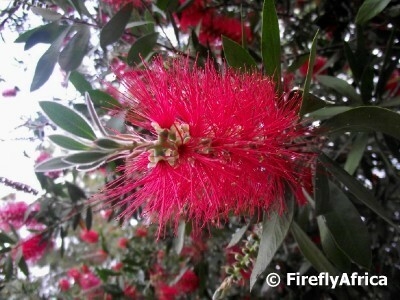 The interesting part is that what we see as a flower is actually a large collection of small flowers. Each of the pins of the "pin cushion" is the pistil of an individual flower. The bright red, orange or yellow (depending on the colour of the flower) pointed end (stigma) is the female organ of the plant. 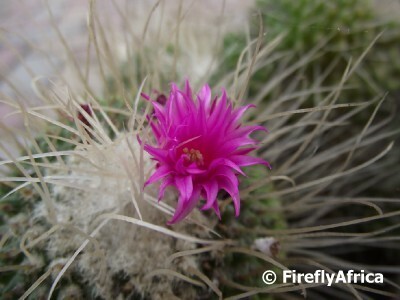 The flowers are not self-pollinating and depend on the small Scarab beetles and the birds for pollination. 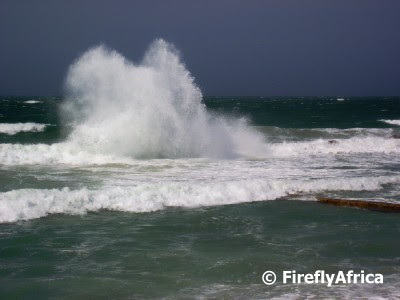 As was amazed at the colours ranging from reddish to orange and yellow. How fortunate we are indeed. The most amazing part of the protea plants are that the hard nut like seeds are normally collected by ants, stored in the soil, and germinate only after a fire has killed the mature plants and returned the nutrients back to the soil.